Posted on Monday, November 27th, 2017 by Hope Morgan Voorhees. UNC-TV recently aired a story about the importance of bees in agriculture and what can be done about the decline in bee populations in recent years. 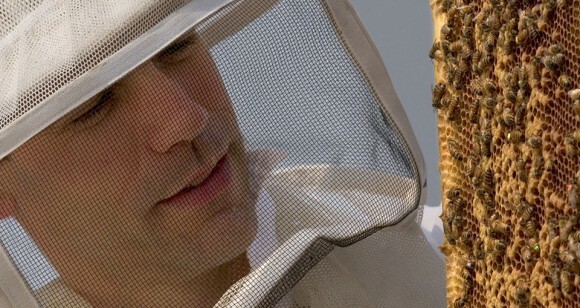 Biology professor Dr. Olav Rueppel weighed in on one of the factors causing the decline, Varroa mites, and his research on natural ways to save the bees. See that tiny red dot on this honey bee? It's a mite. Mites infest honeybee colonies and spread viruses. But scientists from UNCG Research are working on a solution…one that relies on the bee's natural defense system.